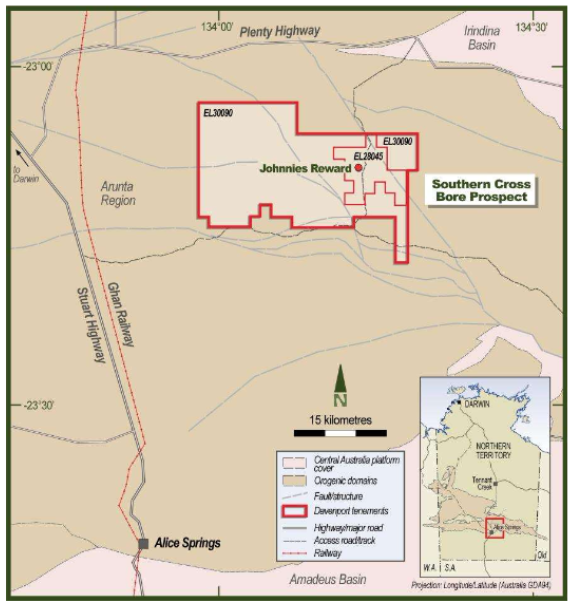 Davenport Resources (ASX:DAV) has released its Inferred Mineral Resource estimate for the Johnnies Reward gold-copper deposit, which is part of its 100% owned Southern Cross Bore Project in the Northern Territory. Prepared by Conarco Consulting, the Inferred Mineral Resource is 2.2 Mt at 0.7 g/t gold and 0.4% copper and contains 52,000 ounces of gold and 9,000 tonnes copper, which is a 1.4 g/t gold equivalent for 101,000 ounces gold equivalent. The mineralised domains have been interpreted using a combination of cross-sections, long sections and level plans. A nominal 0.5 g/t gold equivalent cut-off grade has been employed to define the boundary between mineralised and un-mineralised material. The estimate was prepared using a block model generated from 3D wireframes of two main domains. The Johnnies Reward prospect is located near several other targets earmarked for follow-up exploration which include another outcropping gossan with anomalous rock-chip samples and historic copper workings. However, as with all minerals exploration, success is not guaranteed. If considering this stock for your portfolio, do your own research and seek professional financial advice. In addition, the Inferred Mineral Resources was modelled off historical drilling data at minimal cost to DAV, which will prioritise its potash assets in South Germany. 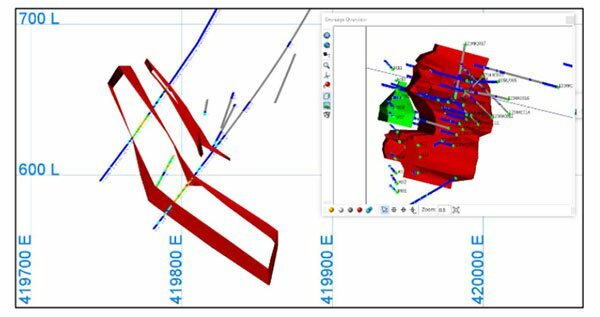 DAV Executive Director Chris Bain commented on the highly promising update, “The open nature of the Inferred Resource down dip and the trend for several hundred metres along the strike length highlighted by both magnetics and geochemistry suggests that there is scope to significantly extend this maiden resource,” he said. The Inferred Mineral Resource incorporates assays from 41 drill holes, which includes nine diamond, 15 percussion and 17 RC holes for a total of 4699m. This drilling took place over several years and across numerous campaigns, leading to close spaced holes. As such, continuity of the mineralisation was readily interpreted as an Inferred Resource. Mineralisation on site is interpreted to be an iron oxide copper-gold (OC) deposit hosted within a magnetite-pyroxenite. Metallurgical work was undertaken on four composite samples from 2012 and 2014 drilling campaigns, with results indicating around 90% of the gold in solution after 48 hours from two composites. 20% of gold remained in the solid after 48 hours from the other two composites. 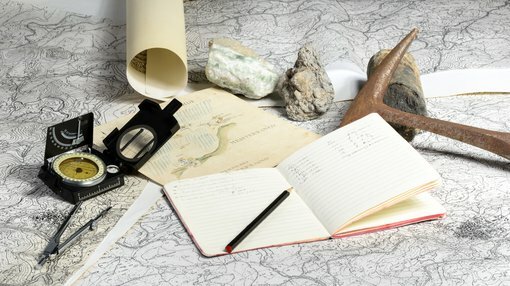 ALS metallurgy utilising an automated mineralogical analysis on samples indicated significant returns of quartz (42.5%), magnetite (27.4%) and chlorite/micas (15%). Due to the nature of the mineralisation and metallurgical work, DAV believes that recovery rates for copper and gold on site may be close to 90%.